Previously known as Royal Kamuela at Monkey Forest, Archipelago International's luxurious Ubud villa property has recently evolved to become the Royal Kamuela Suites & Villas at Monkey Forest, following the unveiling of brand new Suites and luxurious guest facilities. 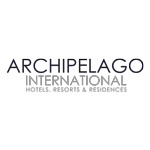 Archipelago International, Indonesias leading hotel operator, has been appointed by the Asian Games organizing committee INASGOC as the operator of the Athletes Villages in Jakarta and Palembang. 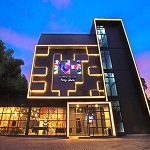 Archipelago International is once again proving itself to be one of the leading hotel management companies in the region, by bringing a new hostel brand to Indonesias burgeoning accommodation market. The inaugurating of NOMAD Hostel Kemang has been designed to accommodate the growing number of budget-oriented backpackers looking for sociable accommodation to share with other like-minded travelers. This month, another brand new address is welcomed into Archipelago International's ever-growing family of hotels with the opening of The Alana Hotel & Conference Center - Sentul City. After the success of previous Alana Hotels in Central and Eastern Java, Archipelago International now has its sights set on other areas of the country to continue the growth of this contemporary 4-star brand.